To provide a virtual network for the brain injured and their loved ones, pulling them out of isolation and into the hope and light of community. Michael is a graduate of Oregon State University, and is currently in the application process of medical schools. 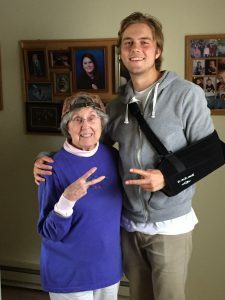 In August of 2015, while shadowing a doctor in Rochester, MN, Michael crashed his bicycle suffering fractures to his skull, ribs and clavicle, as well as a subarachnoid and epidural hematoma. The latter was treated with surgery immediately and the former treated a few weeks after. With the love and support of friends and family, he has recovered quite nicely. Michael is also involved in several local brain injury support groups. 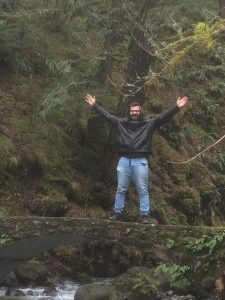 He founded Oregon State’s first group in the fall of 2016, and currently contributes to the Oregon Health and Science University’s TBI support group regularly. He has plans to start several other support groups at Portland area colleges in the fall of 2017. See that jacked muscle brain at the top of the site? That was created by the super-talented Hank Grossen. He has created his own comics and is constantly putting out new material. Follow him @hankgrossenart on Instagram.